In 1550 Richard Grafton issued a second edition of History of England. Because of the work's clear Protestant sympathies, Mary Tudor issued a proclamation in 1555 calling for the destruction of the book. By John Simkin (john@spartacus-educational.com) © September 1997 (updated October 2015). Edward Hall started his education at Eton College and was admitted to King's College, Cambridge, in 1514; he graduated BA in 1518. 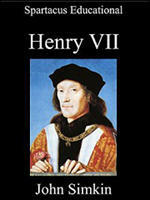 By 1521 he had entered Gray's Inn. Subsequently Hall made his living as a lawyer, and he often served in parliament. 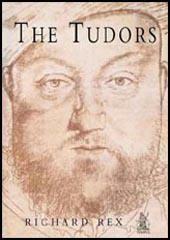 Hall may have been first elected to the House of Commons in 1523; by 1528 he was sufficiently established to be included among ‘the nobility, judges and councillors and divers other persons’ summoned by Henry VIII to Bridewell Castle to hear the king explain his "great scruple" in person. In 1529 he was certainly elected to the house to represent the borough of Much Wenlock. Consequently his comments about the work of this, the Reformation Parliament, constitute an eyewitness account, and almost certainly he was among those "learned in the law" appointed by the Commons to draw up bills concerning the probates of wills, mortuaries, clerical non-residence, and pluralities. Surely the most of the lay people of England, which knew not the law of God, sore murmured at the matter (Henry's proposed divorce) and much the more, because there was a gentlewoman in the court called Anne Boleyn.